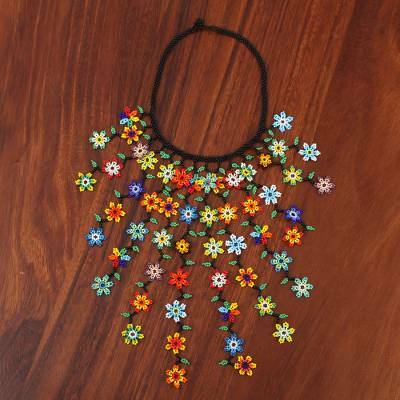 Handcrafted of petite glass beads in a traditional style, beautiful flowers in a variety of colors rain from this waterfall necklace from Mexico. Adriana Trejo designs and crafts this accessory. It circles the wearer with black beads, completed by a button clasp and extender.